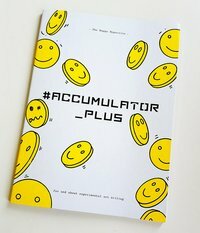 #ACCUMULATOR_PLUS seeks new ways of addressing questions of speed, communications technologies and the dynamics of interaction between local and global space, by revisiting recent underground histories spanning rave, pirate radio, Detroit techno and east London grime. 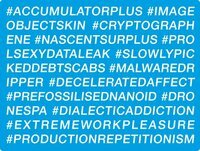 With a live music event in London, broadcast in collaboration with NTS Radio. Read an interview with Hannah about this issue in Vice.